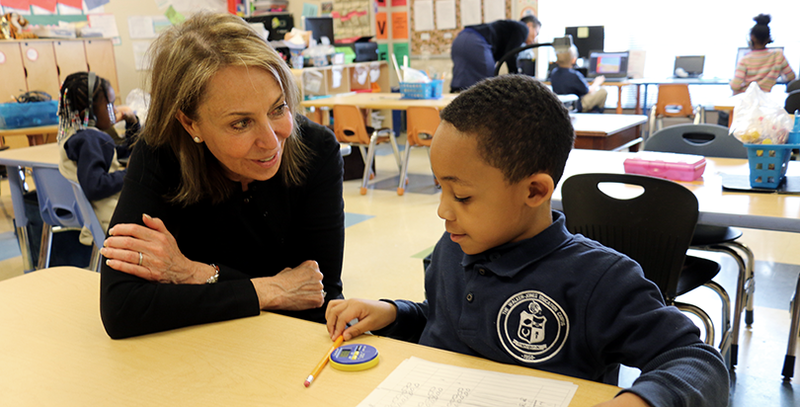 A kindergartner in Latoya Newton’s class at P.S. 314 in the South Bronx used to cry and scream for hours from the moment she arrived at school each day, disrupting the entire class. That was last year. This year, Newton, a special education teacher who followed her students from kindergarten to first grade, reports a dramatic change in the little girl’s behavior. That kind of transformation — of not just a single student’s behavior but the overall way teachers interact with their pupils — is a major aim of the New York City-based nonprofit Turnaround for Children, which has been working with struggling, high-poverty public schools throughout the Northeast since 2002. The organization sends a team including a social worker, an instructional coach (or master teacher) and an administrator into each school to work closely with the principal and deliver intense teacher training to the entire staff for three to five years. At the same time, Turnaround staff connect struggling students and their families with internal and community-based mental health services. Most schools pay between $20,000 and $50,000 per year for Turnaround’s services; many help curb the cost with grants. “If a school really wants to partner with us and we really want to partner with them, we’re going to do everything we can to find funds to pay for that partnership,” said Kate Felsen, vice president of communications. The idea is that helping teachers learn how to handle students who are having angry outbursts or are painfully withdrawn while also dealing with the children being buffeted by those emotional forces will create a “fortified” learning environment that is crucial to healthy child development and academic performance. Unfortunately, that’s rarely the case for children who have severe levels of stress in their home lives, she said. Cantor, 67, is a child psychiatrist whose professional achievements include co-organizing the National Summit for Children Exposed to Violence with former U.S. Attorney General Eric Holder and serving as co-director for the Eastern European Child Abuse and Child Mental Health Project, supported by philanthropist George Soros, who was born in Budapest. Cantor established Turnaround for Children based on the premise that science can and should inform educators’ approach to building what are called children’s non-cognitive skills. Those aptitudes, such as a student’s sense of belonging, resilience and “growth mindset” — often described as a belief that learning and self-improvement is possible regardless of current limitations — are essential to academic success, Cantor says, and research supports this. This insight grew out of research Cantor and a team conducted shortly after Sept. 11, 2001 that examined the mental health impacts of the terror attacks on schoolchildren in the city. 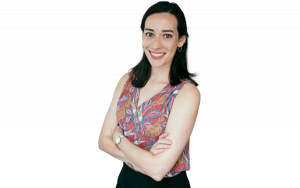 What the research revealed startled Cantor and her co-authors: Students’ trauma appeared less tied to mass terrorism and more to the violence, loss and adversity they experienced in their homes and neighborhoods every day. The greatest levels of trauma were found in students who lived in the poorest neighborhoods throughout the city — not necessarily those closest to the World Trade Center. In addition, they found many schools in these troubled neighborhoods were ill-equipped to meet the needs of their traumatized students. When Cantor visited a struggling public school in Washington Heights, she was struck by the chaotic environment and a sense of not feeling safe, she said. The connection between the quality of the learning environment, student stress levels and academic performance began to materialize. If adults can stabilize the school environment and hone their own teaching techniques to better handle what students are carrying with them when they walk in the door, the whole package will improve, Cantor believes. Students’ social and emotional skills will increase and academic scores will rise. The Washington Heights school, P.S. 132, became the first to partner with Turnaround. Since then, the nonprofit has worked with 87 schools and currently partners with 11 — seven in New York City, including P.S. 314; two in Newark, New Jersey, and two in Washington, D.C. Overall, it reaches more than 4,000 students and 400 teachers and staff. The organization had a $12.3 million budget for fiscal year 2015. Its funders include NoVo Foundation, the Robin Hood Foundation, the Carnegie Corporation of New York, the Bezos Family Foundation, New Profit Inc. and Startup:Education. Turnaround expanded to offer teacher professional development in 2012. Cantor and her team realized that connecting the most vulnerable students — roughly 15 percent of the student body — to outside services left many more missing out on something critical: Being in a classroom designed to address the challenges that stem from experiencing and internalizing stress, Cantor said. 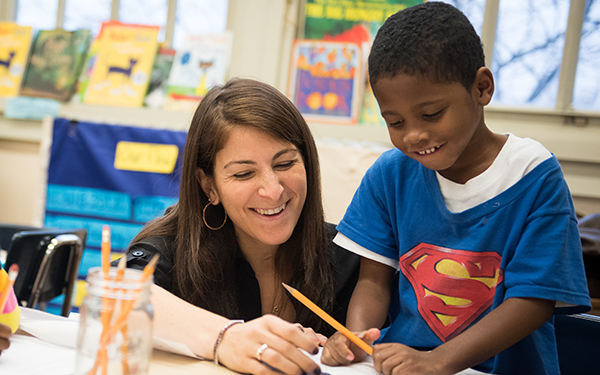 Teachers in Turnaround schools participate in at least an hour per week of professional development, lead by either Turnaround staff or internal school leaders. Educators at P.S. 314, also known as the Fairmont Neighborhood School, say partnering with the organization has helped students and staff make strides during the roughly 18-month-old relationship. Much of it is due, they say, to the 80-minute group professional development sessions Turnaround staff lead every other week; the school holds its own sessions during the interim weeks. Help from two social workers has also been key. The social workers, one from Turnaround and one on the school’s own staff, meet with families and make sure students are fully evaluated, diagnosed and have a mental health intervention plan in place. Newton, the special education teacher, said that now instead of pointing out what an unruly student is doing wrong and correcting them, she tries to divert their attention to another activity, like reading a book or going for a walk. She’ll talk to the student later, once they’ve calmed down, about their inappropriate behavior. One recent afternoon, visitors stopped by the classroom where Kelly Reyes and Newton co-teach during a phonics lesson. A girl wearing a red hair bow led the class through a pronunciation, pointing an owl finger puppet at the syllables as the students chanted along from their seats on a carpet. When a child answered a question correctly, the entire class was encouraged to praise her aloud. “The other children seem to want that praise also, so most of the time they fall in line,” said Reyes. While some teachers at first resisted the intense training, most eventually embraced it, Principal Scott Wolfson said. He recalls little — if any — structured professional development offered when he arrived about two years ago, after being recruited by the New York City Department of Education. What he did find was that many brand-new teachers were struggling to manage children with extremely limited educational experiences, said Wolfson, a 21-year educator. Staff morale was low; the hallways and cafeteria were loud and chaotic. As it did then, P.S. 314 operates under the same roof as P.S. 50, a former Turnaround partner school, which the city education department is preparing to close. Meanwhile, P.S. 314 will add a fifth-grade class this fall. It now has about 300 mostly black and Latino students in grades pre-K-4, and almost all of them qualify for free or reduced-priced lunch, a measure of poverty. The school ranks well below the citywide average on performance measures like student proficiency on state tests and whether teachers believe order and discipline are maintained, according to 2014-15 data from Inside Schools. Despite this sobering reality, a lot has changed at P.S. 314. A relative sense of calm has settled through the hallways of the century-old building. More students report feeling a sense of physical and emotional security in school, according to a student survey conducted by Turnaround. Elsewhere too, some early indicators of the program’s success have surfaced. Schools that Turnaround has partnered with since 2011-12 became more orderly, harmonious places. Between 2011 and 2014, “severe” incidents — violent or disruptive behavior reported by schools — decreased 42 percent and suspensions decreased 49 percent, according to Turnaround data. At the same time, 85 percent of schools showed improvement in students’ “interpersonal self-regulation,” which relates to their ability to control emotions like anger and show patience, according to 2014-15 Turnaround data. The percentage of teachers who are “highly rated” in classroom climate, productivity and engagement rose 23 percent, while 98 percent of students referred for mental health services had an intervention plan in place, the data shows. As Cantor and her team look to broaden their scope, they are exploring a potential collaboration on programming with the Yale Center for Emotional Intelligence. A research partnership with faculty at the Harvard Graduate School of Education and the American Institutes for Research may also be in the works. Cantor hinted that the organization is also looking for ways to expand districtwide partnerships in D.C. and New York. Turnaround is building on its past work just as a national push toward measuring students’ social and emotional skills climbs into higher gear. Under the new federal education law, the Every Student Succeeds Act (ESSA), states are now required to test students on at least one non-academic measure, such as school climate and safety, student engagement or access to and participation in advanced coursework. The law leaves it up to states to decide how to measure these skills and which ones matter most. As schools increasingly look for resources to help them identify and measure these non-cognitive skills, more people may turn to the “Building Blocks for Learning” framework that Cantor has championed, said Shelton, who is now president and chief impact officer of 2U, which works with universities to offer online degree programs. It could also trigger an important shift in the conversation among education reformers that has predominately focused on academic outcomes, particularly high test scores, he said. “Pam’s work is important on two fronts: The first is that she has unified a conversation around social and emotional learning, the growth mindset and other elements of what has been poorly named ‘non-cognitive skills’ — she’s pulled that together in a way that makes it accessible and actionable for the people in education,” Shelton said.